R & R Fencing is a family owned and operated company famous for finding simple, affordable solutions for fencing and gates. 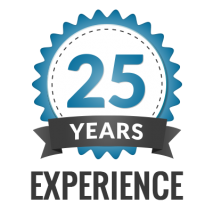 We’ve been keeping Perth families and businesses stylishly safe and secure for over 25 years. Our reputation as Perth’s ‘go to’ team for fencing supplies is built on our reliable expert service and the strict quality control of all our products. As a result, legions of loyal customers including everyone from veteran tradies to DIYers rely on us for tubular, aluminium, Colorbond or pool fencing for projects of all sizes.